Six thousand miles away, in Cameroon, Liz knew there had to be more to life. There, she lived an average middle-class lifestyle, but one much different than our standard in the United States. Nonetheless, she was more fortunate than most. She was able to put a roof over her head, own a car, and send her daughter to school. Although seemingly stable, Liz yearned for more. Something had to change, if not for her sake, for her daughter’s. She entered the U.S. Diversity Visa Program, also known as the “Green Card Lottery,” with 100,000 other applicants. Upon her acceptance, she quit her job, sold everything, packed her life up, and was on the next flight to America. She hadn’t even visited. Everything was different, from grocery shopping to general customs. Regardless, Liz was ready to jump right in and find work. Unfortunately, many employers weren’t interested in hiring a woman who was already eight months pregnant. So, there she was: A single mother of one, with another on the way, unemployed, in a completely different world. Saying it was a rough start would’ve been an understatement. Eventually, Liz and her two kids ended up at the Religious Coalition for Emergency Human Needs’ shelter. Like any mother, Liz began to worry about what she would do to get out of her situation. With the help of an amazing caseworker, she was able to get housing and other necessities for her family. She was even able to enroll in school! But there was still one major hurdle: Transportation. After months of hard work and saving every dime she could, Liz was able to afford her car. “I was so happy, you can’t imagine!” Liz exclaimed. “For what the Prosperity Center has done for my family through this program, I can not say thank you enough.” Her Prosperity Savings Account protected her from having to return to her inefficient lifestyle of hopping from bus-to-bus. Today she drives a car that she and her kids' love, no longer chasing the American dream by foot. 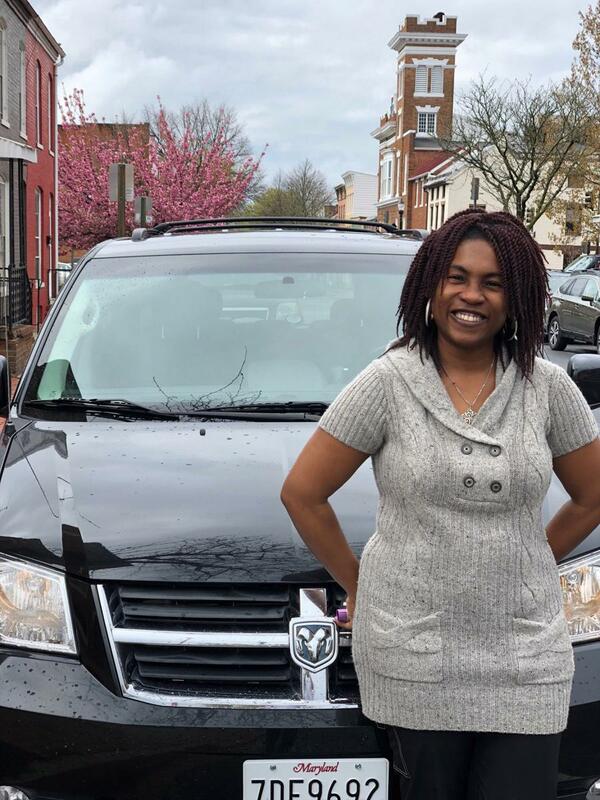 *Note: While The Prosperity Center no longer offers the matched savings program for vehicles, we are eagerly looking for funding from corporate partners who will help us make the program happen again for families like Liz’s.